Sometimes a single photo is enough to make you question someone’s sanity or even our reality! However, there are also images that simply show weird objects or events that you have never seen before and probably never will again. This is what makes them interesting, not to mention that they are a great way to learn something new or just have fun! The list below is compiled of such photos and we believe that most of you would be really puzzled by some of them. Enjoy the list and pick your favorite weird thing! 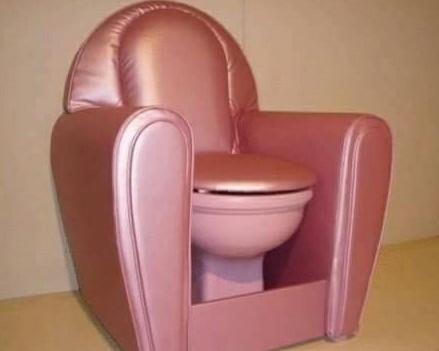 To all the people who consider the toilet seat to be their throne, this one is for you! The ultra-lavish makeover of this toilet is simply amazing and we guess that it would be hard to resist just sitting on it to relax, not to mention actually having to go to the toilet. If you have the habit of spending ridiculous amounts of time in the toilet, this luxury piece would surely add to that time. We wonder what it costs, but it will not be cheap for sure, because it appears to be a one-off creation. We have all seen a lot of ridiculous party photos and this is perfectly normal. After all, parties involve good mood and alcohol, which brings out the best and sometimes the funniest side of most people. However, in some cases too much alcohol and fun could result in bizarre situations, and the following example clearly shows that. 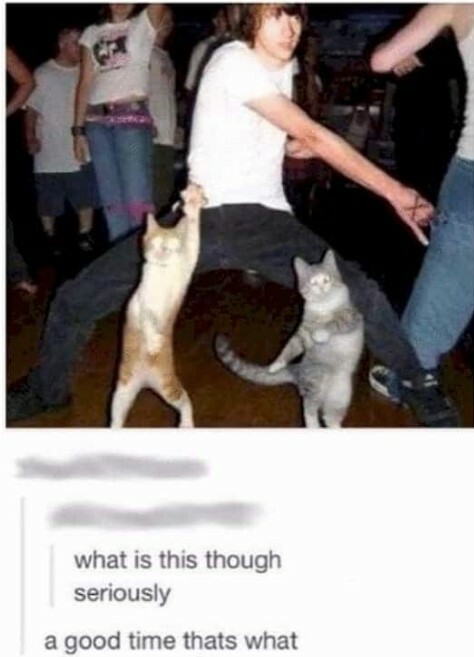 We have no idea if the cats showed up uninvited to the party, but we really like their moves! Small businesses around the world look completely different from each other even if they are in the same field. This person is the perfect example, because you will probably never see a stand like his anywhere else. He gives a literal meaning to the world ‘stand’, because everything is attached to his body, including that huge umbrella! 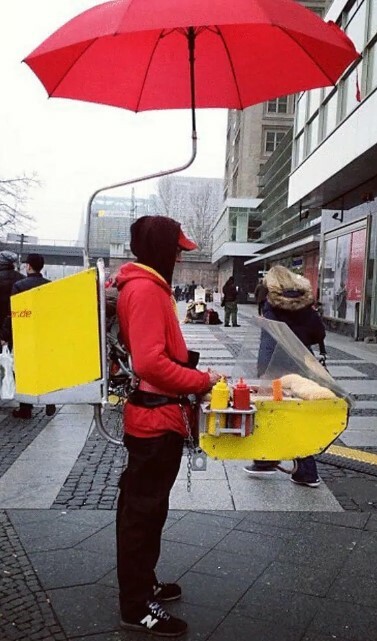 We bet that he has a lot of regular clients, and we mean a lot of adults, too, because it is clear to see that every kid would want to buy food from this man! 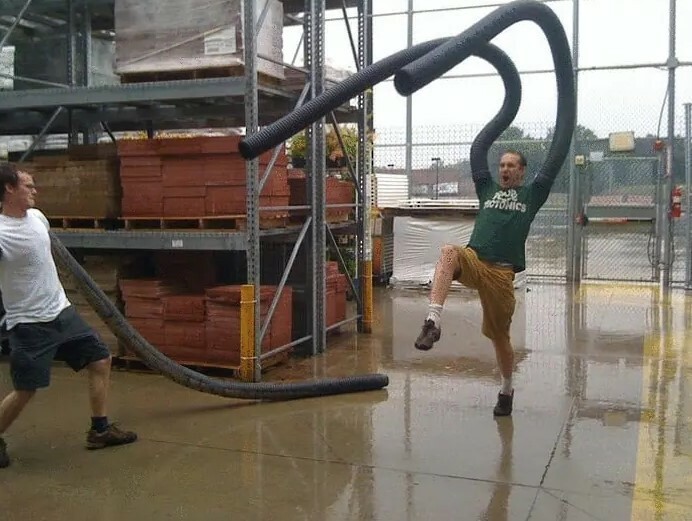 He looks like a superhero! We admire everyone’s attempts to help animals in distress, because it is one of the best things we can do as humans. However, in some cases a certain individual’s desire to help a wild animal is not going to bring any improvement to the situation. The photo above shows one of those situations. 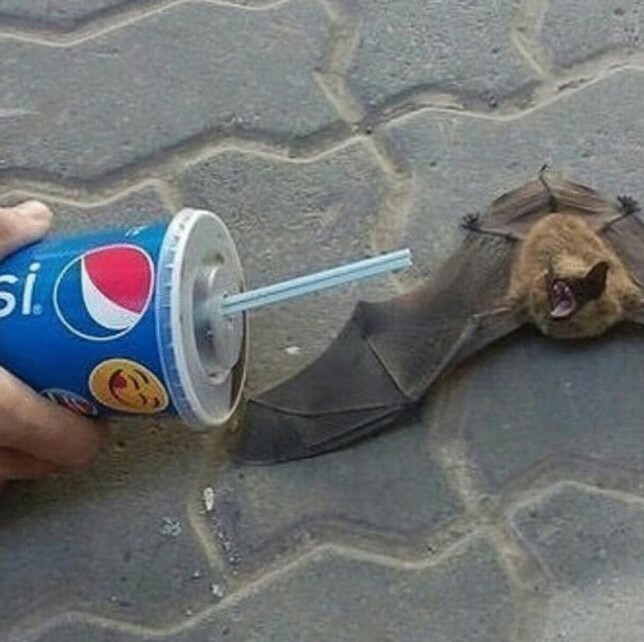 We are not sure if the bat would feel better after taking a sip from that Pepsi cup. We guess that it may even be harmful for the animal, but it certainly does not appear to be a good idea. A visit to Disneyland is always a good idea! You will surely be surrounded by a lot of positive people who enjoy all the wonderful attractions and have fun! But there apparently is a different side to this magical world that is captured in the post you see above. 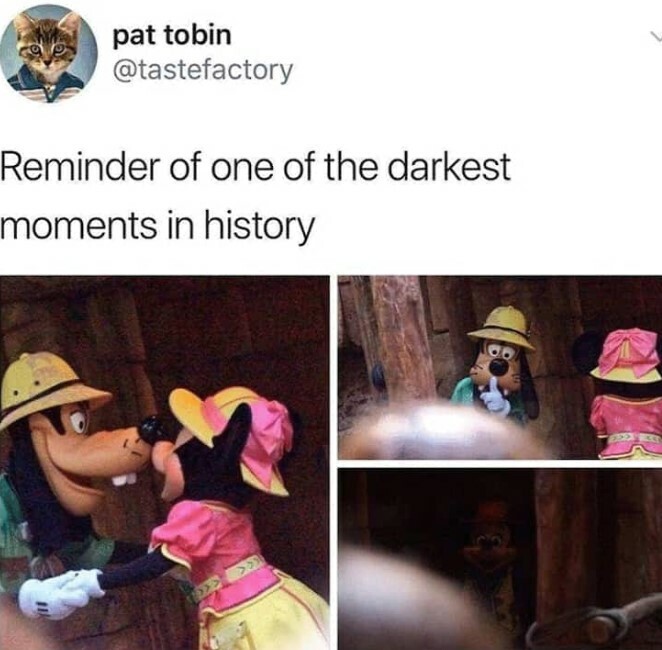 It seems that Goofy started an affair with Minnie and even though he told the person who took the photos to keep quiet, it was too late, because Mickey saw the whole thing. Maybe it was a setup or a coincidence, but the photos are hilarious. Interior designers come up with bold designs and crazy ideas in order to make something unique for their special clients. 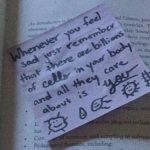 However, in certain cases form becomes more important than function, which is definitely not a good thing when it comes to spaces such as the bathroom. We believe that the bathroom from this photo was not created by a designer, but it still looks ridiculous! 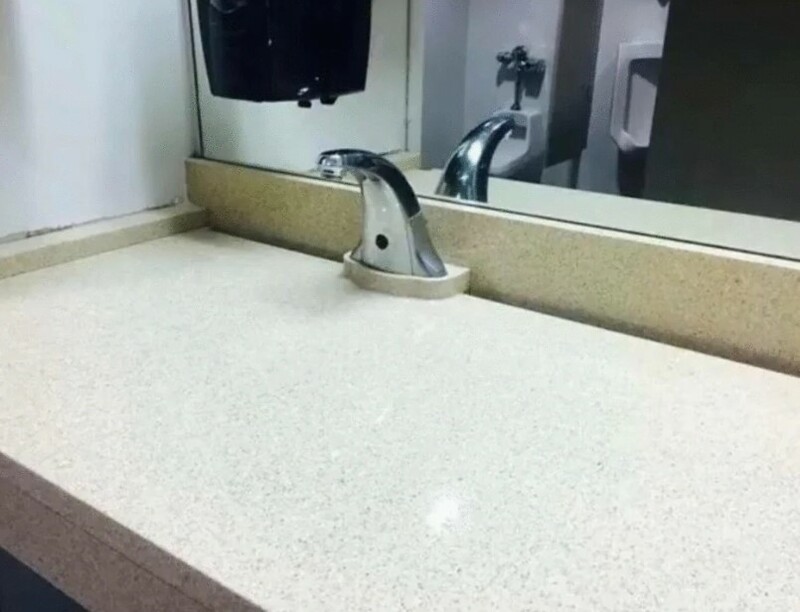 Maybe they put a sink in there eventually. Playgrounds come in all shapes and sizes and they are always designed in a way that is safe for little children to use. However, sometimes people decide to change the setup and this leads to controversial results in most of the cases. This example here leaves no doubt about how dangerous it is! 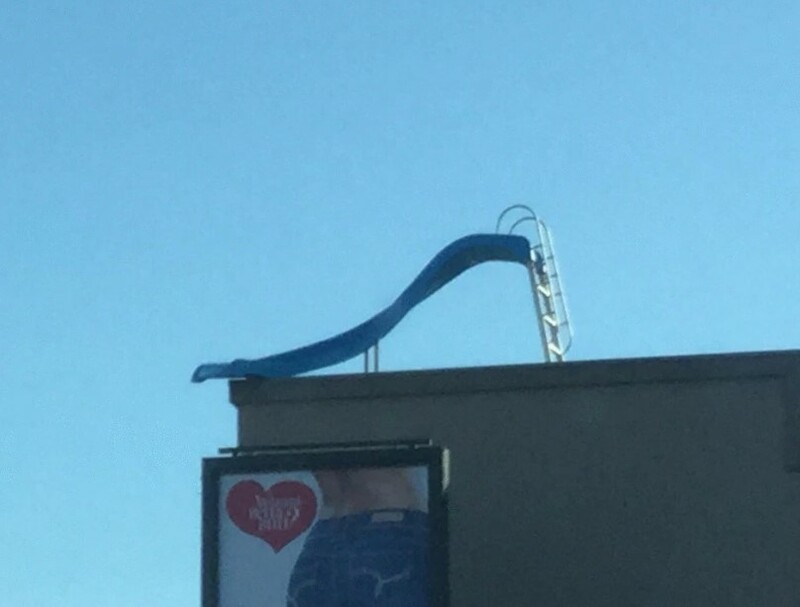 We guess that whoever goes down the slide would definitely get hurt! Maybe it was put up there only as an attraction and nobody would dare to use it. Pools are one of the features every homeowner would like to have. However, they are very expensive to build and maintain. Those who live in an apartment building are limited only to a Jacuzzi or a hot tub. 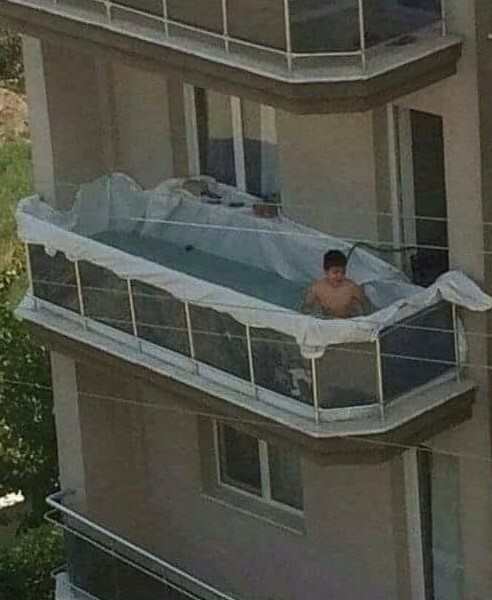 But someone found a rather interesting solution to that problem and created a pool from the balcony space. It seems to be okay to use, but there is one concern. All that water must weigh a lot and the balcony needs to be strong enough to take that load. We hope there was no structural damage whatsoever. 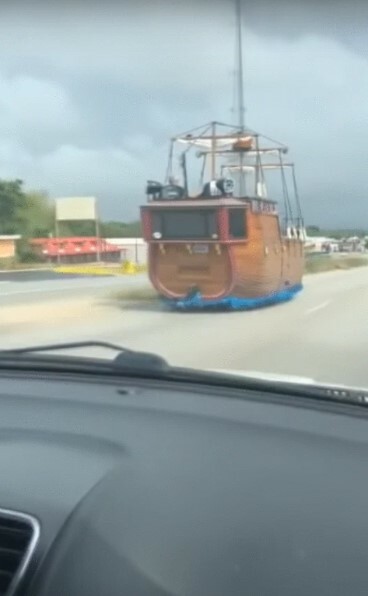 How would you react if a pirate ship passes by your vehicle on the freeway? We guess that you would not believe your eyes, and probably most people would react the same way. However, it is obviously possible. Someone created a really nice replica of a ship on the base of a regular vehicle. The creation looks cool but we wonder if it is road legal. It does not look safe at all and we hope that the person who made it uses it rarely instead of daily commuting in it. 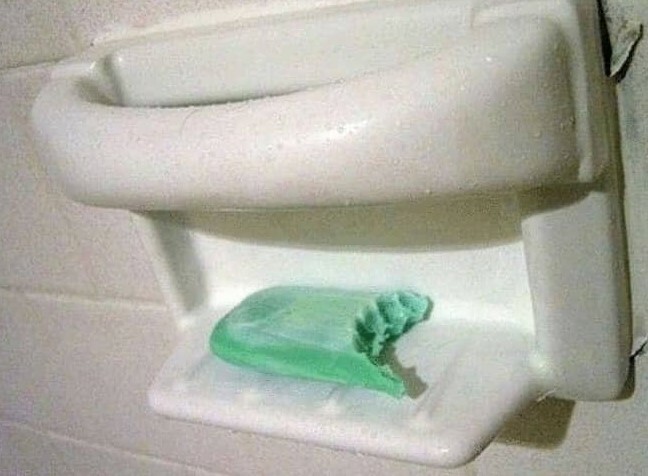 Even if someone is extremely hungry, we guess that they would not take a huge bite of the soap bar in the bathroom! 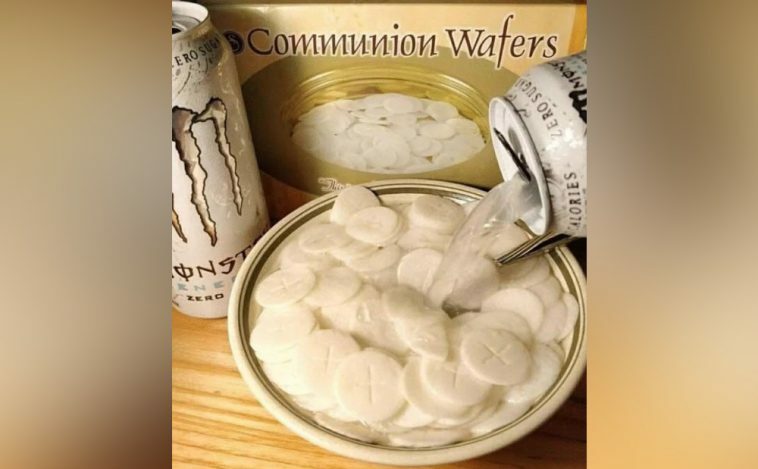 It is not nutritional at all, but it could be dangerous if swallowed. 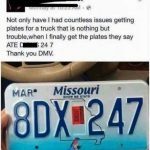 The bite marks are very clear, but there is still a chance that the whole thing is nothing more than a prank. 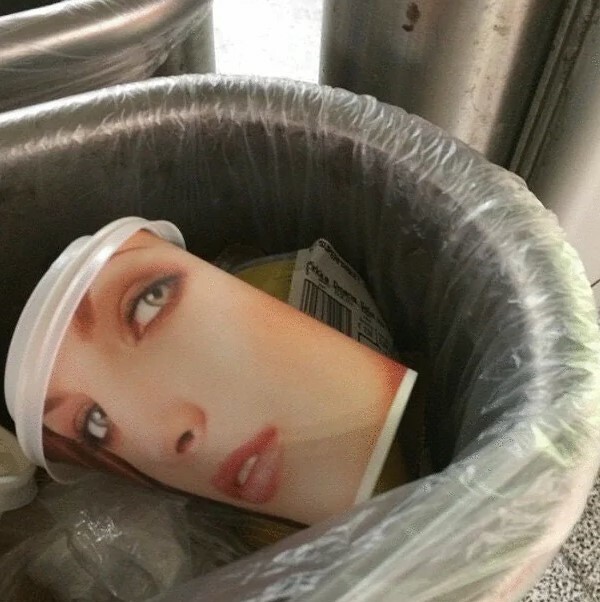 If this is the case here, we guess that someone really took their time to design and execute the prank. People have difference preferences about literally everything. In most cases their preferences are shape by some kind of a trend. In this case, we are not talking about a trend at all, because these shoes will never be trendy! At least we hope so. 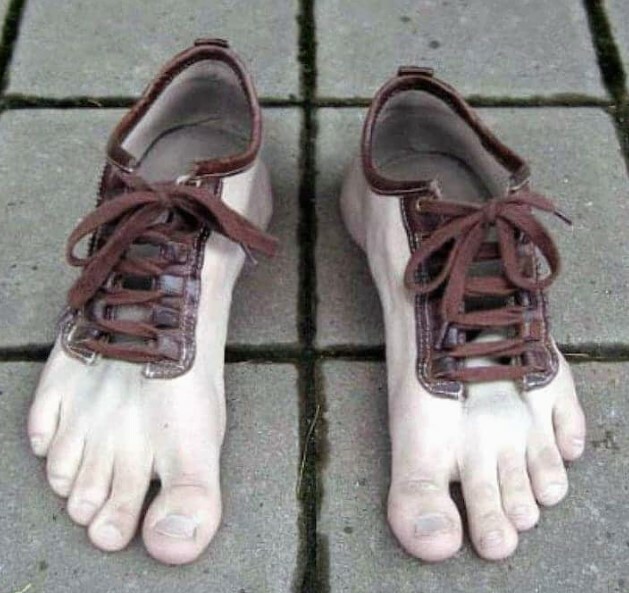 They are far too real and they literally look like real feet that have been chopped and turned into shoes. It would take a special kind of person to wear them and feel good and comfortable while doing it. This is one really interesting and weird creation. First of all, the idea behind this is unknown. 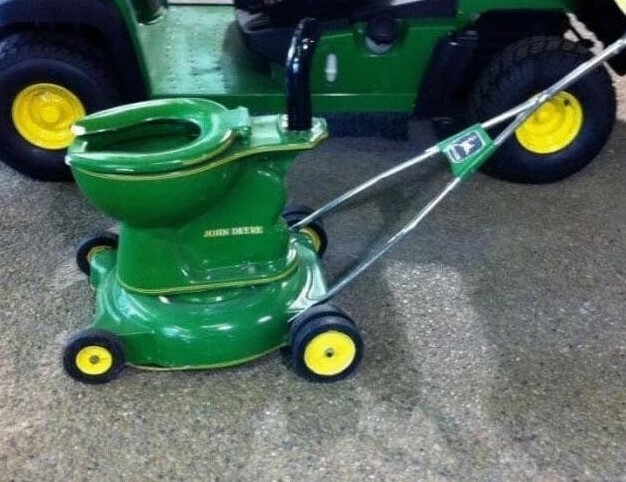 As you can see, it is a lawnmower with a toilet seat installed on it. Maybe the idea was for the lawnmower to be ridden like a weird go-kart, but the question is why they chose to use a toilet seat instead of a regular one. The quality of the fabrication work seems to be really good and maybe it even runs! If your workday is one endless routine, you definitely need to take regular breaks. In a time out you can do whatever it takes to amuse you from the boring activity. These people obviously realized that and they seem to be enjoying themselves a lot! It may seem weird, but the important thing here is to just live the best life and do crazy things when we want to! It seems impossible, but as you can see, something gross can make you hungry! We would never believe that such a thing could be possible, but after seeing this image, we need to agree. As you can see, there is something like sludge stuck on that drain. 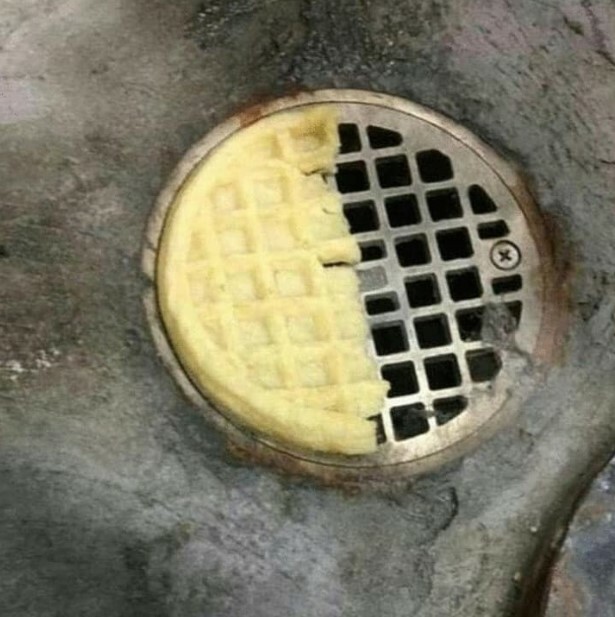 Of course, it is some kind of dirt, but the color and the form of the drain grill make it look like someone is about to make a waffle. This made us feel immediate waffle cravings while we perfectly realize that we were looking at a piece of dirt. We hope that this doesn’t become a trend! As the photo suggests, there is a place where you order coffee and receive it in a up with your face printed on it! At least this is what we guess. If it turns out to be true, we hope that it never becomes something popular because it is more or less creepy.